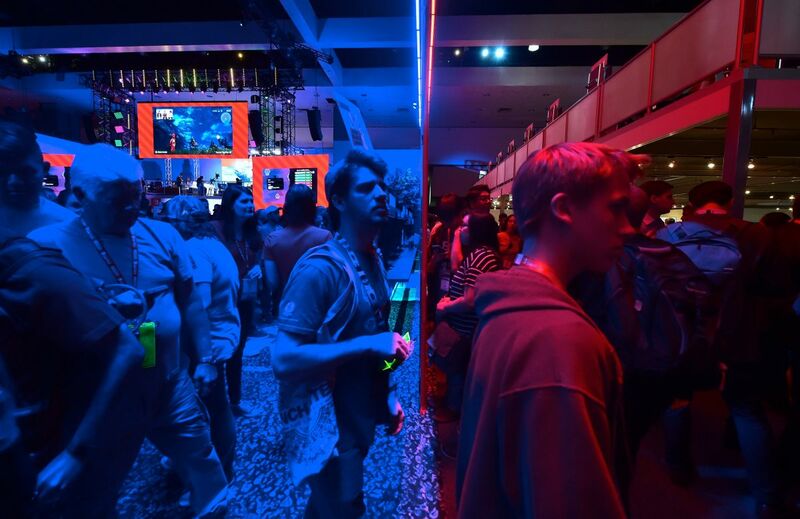 Gaming fans step from the Playstation blue into the Nintendo red display rooms on day one of E3 2017, the three-day Electronic Entertainment Expo, one of the biggest events in the gaming industry calendar, on June 13th, 2017 in Los Angeles, California. 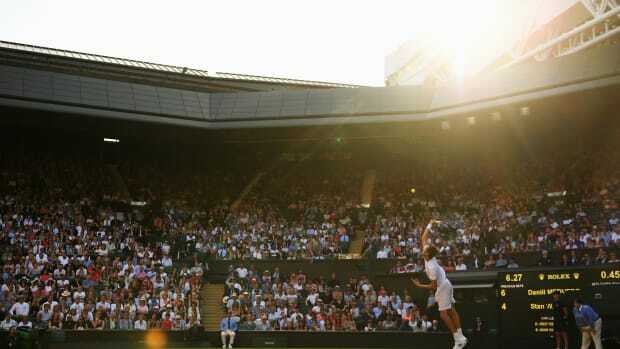 Danil Medvedev of Russia serves during the Gentlemen's Singles first round match against Stan Wawrinka of Switzerland on day one of the Wimbledon Lawn Tennis Championships. 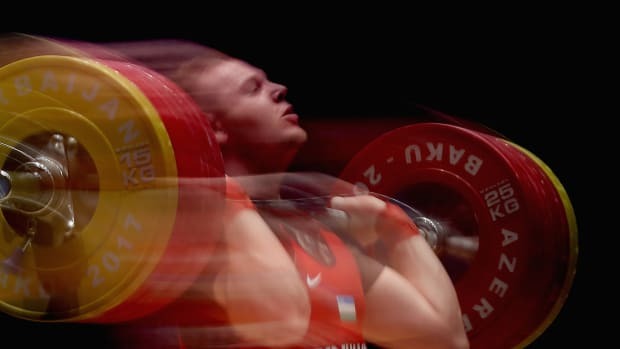 Ivan Efremov of Uzbekistan competes in the Men's Weighlifting 105 kg finals during day three of the Baku 2017 Islamic Solidarity Games on May 17th, 2017, in Baku, Azerbaijan. 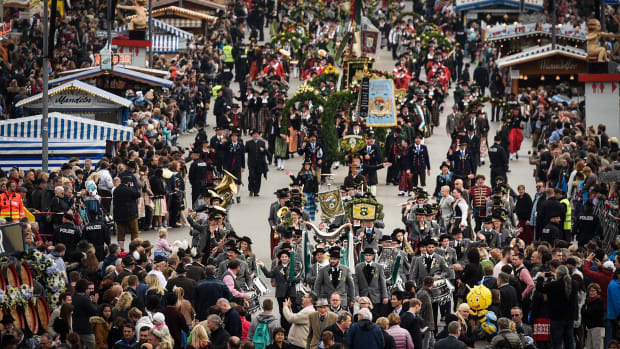 Bands in traditional uniforms march in a costume parade on the second day of the 2017 Oktoberfest beer fest on September 17th, 2017, in Munich, Germany. 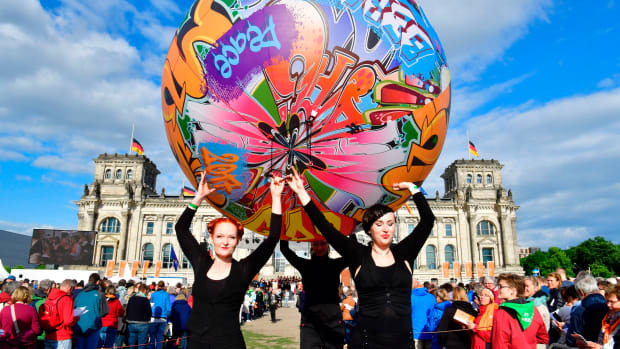 Performers carry a giant graffiti ball during the opening Mass of the Kirchentag (Church Day) festival in Berlin, Germany, celebrating the 500th anniversary of the Reformation, on May 24th, 2017. 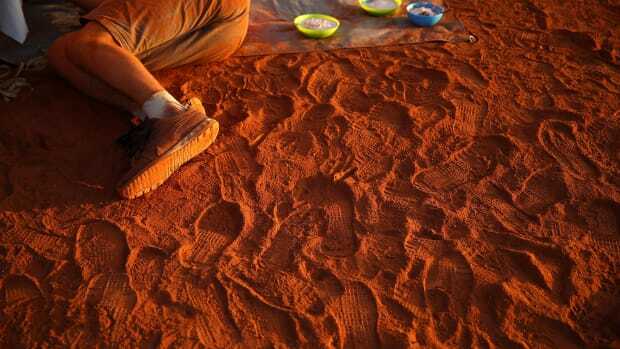 A team member from the Netherlands prepares their vehicle, "Nuna9," for racing on day two of the 2017 Bridgestone World Solar Challenge on October 9th, 2017, in Dunmarra, Australia. 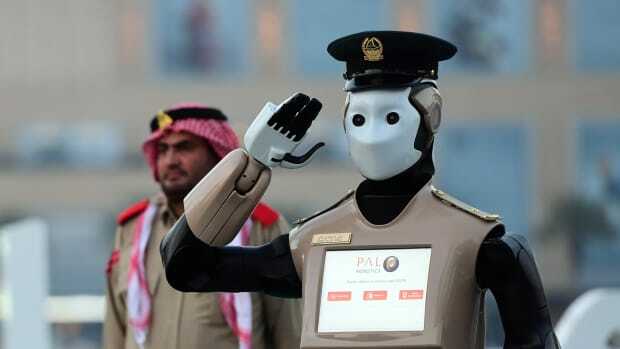 The world's first operational police robot stands at attention in Dubai before a military cannon is fired to mark the end of the fasting day on May 31st, 2017, for Muslims observing Ramadan.